Three weeks into the holidays and we have survived the half way mark but now it might becoming more challenging how to entertain the children. Our first week was taken up with our trip to Spain. The second week ppassed in a blur of washing, seeing friends and generally being chilled and relaxed. However now for Dylan and Erin itchy feet have appeared. Whilst Chloe is happy and off visiting friends and having sleeping overs the younger two are becoming more restless. Therefore we tasked them with clearing out the garage to make them a table tennis table. We are lucky that we have a double garage and although it was an organised dumping ground we have had a sort out. In the garage we have two snooker tables, one proper industrial table from a club that is scattered around the garage and a 3/4 size table that the children inherited from their uncle. However over recent months it has been more of a dumping ground for my stuff than a snooker table. A few trips to the charity shops and tips and the garage was looking better. Lee then went to a local DIY store bought a big piece of ply for £20, realised he then couldn’t fit it into his car (duh) and rang a friend with a van! The wood arrived along with a £10 net and bat set from town and we were set to go. The table tennis table has been a big hit with the children and their friends. Chloe’s friends (teenagers) played out their happily with their music on a speaker and had a money free afternoon. In the evening I have even been out there playing with the kids. Probably the best £30 spent so far this holiday. What has been your best value idea of the school holidays so far? 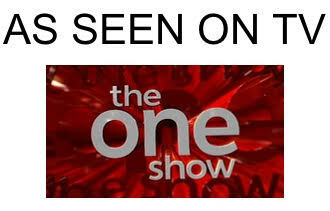 I’m so envious of your double garage, I love that the children can go and enjoy a game of table tennis no matter what the weather – £30 well spent! i know a little boy and girl who would LOVE this, you are a genius!! I am so impressed, turning the kitchen table into a table tennis table was a highlight of my youth. I have a massive patio area that never gets used, you are giving me ideas! 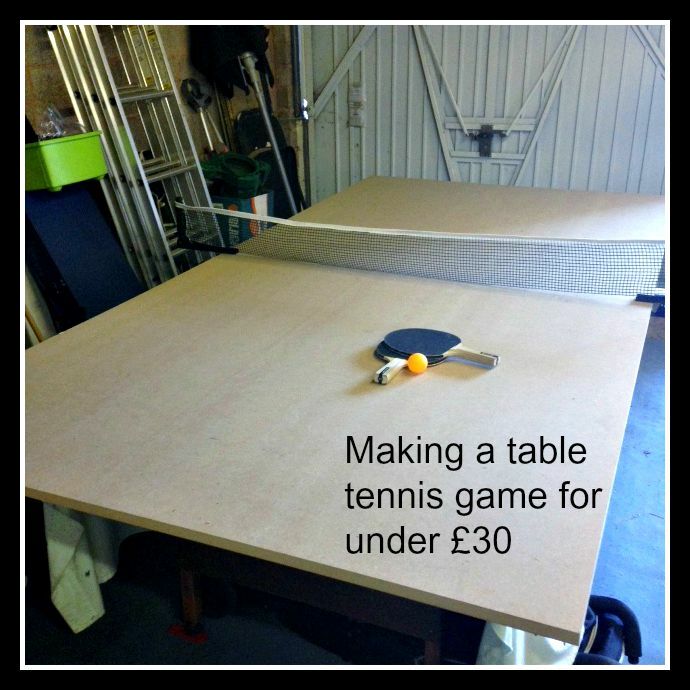 Genius idea – I am however going to keep my OH away from this post as I don’t want a table tennis table in my garage! Oh I like this bit of thrifty upcycling Emma! Great Idea.I love table tennis and I play it. Playing Table Tennis is fresh air is very source of fun exercise enters your family.